It is 100% growth energy derived from natural minerals and without any chemical additives! 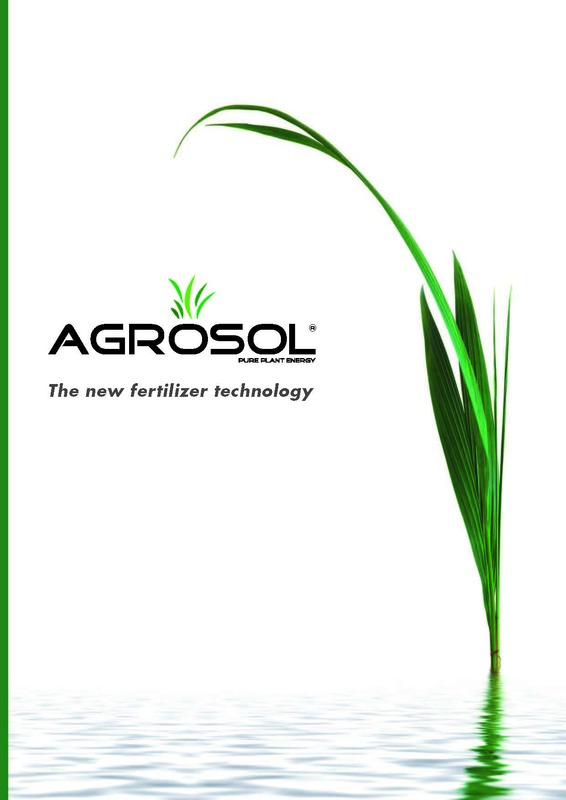 AGROSOL was developed to enable and promote healthy plant growth. Plants are supplied from the outside with foil and soil fertilizers, providing for missing nutrients. As water becomes scarce and groundwater tables recede, supplying the plants with sufficient amounts of water is becoming increasingly difficult. 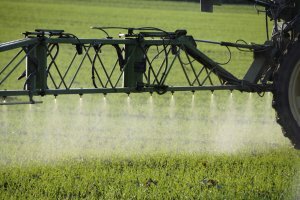 As a consequence, artificial irrigation needs to be applied. These two factors (supply of nutrients and water from alternative sources) have been common knowledge for quite some time. However, what is still largely unknown (especially in open land cultivation) is CO2 fertilization. 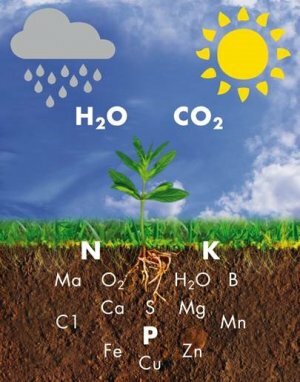 Plants need a certain CO2 balance to achieve ideal growth. The optimum level for photosynthesis is a CO2 content between 0.1 and 1.0 percent by volume. Air has a CO2 content of only 0.03 % by volume. Therefore, plants are operating way below their full potential. The plant is literally „struggling for air″. This is where AGROSOL comes into play. AGROSOL is mixed with water and is applied onto the leaves surface via a fine spray mist. Since the discharge of CO2 takes place inside the leaf, this CO2 production does not generate a burden for the environment. 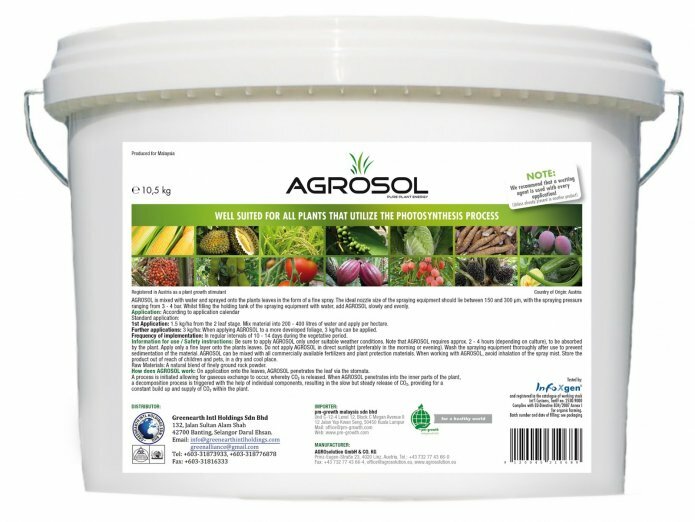 AGROSOL is mixed with water and sprayed onto the leaf surface in the form of a fine mist.